This story commemorates the evolution of source tagging with The Home Depot USA’s 1994 signing and execution of the world’s first contracts committing to the protection of merchandise with a disposable EAS label procured and affixed directly on the merchandise solely by consumer-products manufacturers or their packagers, rather than by in-store labor. That year, about 70 million EAS labels were purchased by a few brave consumer-products companies who had been persuaded to participate by Home Depot’s senior merchandisers, operations, and loss prevention management. Almost simultaneously, BJ’s Wholesale Club completed the same process. These rollouts, and those following closely thereafter, were the culmination of years of oscillating momentum shifts, frenzied product development, cutthroat competition, legal battles, moral suasion, testing and re-testing, apathy, and resistance. The sweat, tears, and eventual cheers wrought significant changes in the way loss prevention professionals battled shoplifters. More importantly, source tagging stimulated profitable cross-functional cooperation among retail business partners. At the outset, consumer-products manufacturers generally looked upon source tagging as another costly task forced upon them by their customers. With the help of the EAS vendors, the retail community began the long process of crafting the arguments that would elicit the proper level of support. There were a couple of notable instances where decisions were forced by ultimatum. As the benefits began to materialize, the dynamics changed for the better, and the “oar pulling” among stakeholders synchronized. The disparate groups coalesced around processes that have revolutionized retail logistics, merchandising, and loss prevention practices over time. The end result is added value to the consumer (less negative impact of theft on pricing and selection) and to manufacturers, packagers, and other value-added resellers (stronger partnerships with retailers mean more shelf space and more reorders). This legacy of understanding and cooperation has been noted, transferred, and improved upon by the organizers of “next-generation” collaborative efforts in the retail logistics chain, such as the work of GS1, its forerunners, and collaborators. The original electronic article surveillance premise was to protect merchandise in stores electronically in order to identify a potential theft via an alarm, and then to assess the situation and respond accordingly. Source tagging has altered thieves’ behavior and changed the in-store premise from active apprehension to passive deterrence. The story begins almost fifty years ago, with three men who each had a similar dream, started the EAS industry, and competed against one another tooth and nail for decades. Knogo. The original RF EAS prototype system was designed in the mid-1960s under the leadership of Arthur J. Minasy, who set up a company called Monere Corporation, which later changed to Knogo Corporation. Knogo went public in 1972, and eventually developed or acquired three EAS technology types—RF, EM, and microwave. For many years, Knogo was acknowledged as the second-largest EAS manufacturer in terms of sales. An example of the original tag design was placed in the Smithsonian Institution’s Museum of National History in 1991. In 1992, Knogo developed and patented an EM thread it called the SUPER STRIP. Released only in Europe, this product could be deactivated on contact—a key component for source tagging. Unfortunately, Minasy was diagnosed with cancer and in 1993 passed the reins as CEO of Knogo to the capable hands of long-time right-hand man Thomas A. Nicolette. After Minasy’s passing, Knogo’s non-North American operations were sold to Sensormatic Electronics Corporation in December 1994, after a competing offer by Checkpoint Systems was withdrawn. Sensormatic. In 1966, Ronald G. Assaf, his cousin, and researchers from the University of Michigan developed an electronic article surveillance prototype founded upon technology of an ultra-high frequency called “microwave.” Assaf subsequently founded Sensormatic (now part of Tyco Retail Solutions), which became the largest manufacturer and marketer of EAS products in the world—around $1.1 billion per year in sales at its apex. The basic circuit of a microwave EAS tag or label employs a diode coupled to one microwave and one electrostatic antenna. Early on, Sensormatic manufactured its own diodes and antennas and laminated the circuits to be either inserted into reusable EAS tag housings or affixed directly to apparel with plastic barbs or pins with locks. In those formative years, Sensormatic and Knogo competed against each other mainly selling or leasing detection systems into the apparel market—the first category of retail merchandise targeted by their sales forces. Knogo was having some success selling to smaller boutiques and specialty stores, while Sensormatic targeted large department stores and specialty apparel chains. Sensormatic’s big breakthrough came in the early 1970s when Bloomingdale’s department store in New York City and Famous-Barr in St. Louis ran successful trials of the system and agreed to install them. With two well-known stores as clients, other retailers were more willing to install the system, and sales began to rise. Sensormatic’s first profitable year was 1973. Sales reached $3.8 million, and earnings were $191,000. Around 1981, Sensormatic commercialized a disposable, deactivatable, adhesive-backed microwave EAS label called a “sensor label.” Deactivation could be achieved only with contact from a hand-held, powered device that effectively deteriorated the diode, rendering the label unable to produce a return signal. These labels were large (about 4 by 5/8 inches), costly, and time-consuming to deactivate because the prongs of the deactivator had to be placed properly in a special position on the label face. A few million were sold, but Sensormatic stopped marketing them in the mid-1980s. Recognizing that neither its flagship microwave nor its newly developed electromagnetic technologies would be able to provide a marketable, deactivatable electronic article surveillance label, Sensormatic embarked on a joint venture, called Identitech, in 1986 with Allied-Signal to manufacture and sell a new EAS system based on an Allied-Signal development called Metglas® amorphous ribbon technology. The new system, described as acousto-magnetic (AM), was touted in the press releases as unique to the industry, in that it was capable of protecting exits at more than twice the width of competing systems and was virtually immune from false alarms. The 50-50 deal included exclusivity for Sensormatic in the retail security market. By 1987 they had developed a proof of concept for a label that was easily deactivated. In July 1988, Sensormatic bought Allied-Signal’s half ownership. By then, Ultra*Max, as it had been branded by Sensormatic, generated about $5 million in sales. Early in 1994, Sensormatic and Paxar Corporation, the world’s largest fully integrated manufacturer of fabric labels, paper tags and tickets, and apparel brand-identification products, formed a joint development program to design, develop, and market combination brand identification/EAS products that could be “sewn in” or heat-sealed onto fabric in apparel manufacturing plants. Paxar and Avery Dennison developed encapsulation techniques, such as a “pouch” in a care label, allowing for the EAS label to remain a permanent part of the garment. Subsequent to the development efforts, successful testing took place at Venture Stores, Target, and Ashley Stewart. Eventually, other retailers adopted the practice, most notably Ann Taylor and J.Crew. Checkpoint. Originally incorporated in 1969 as a wholly owned subsidiary of packaging company Logistics Industries Corporation, one of Checkpoint’s first target markets was to provide security to libraries. From there, Checkpoint followed Sensormatic and Knogo into retail security. Albert E. “Ted” Wolf recognized that a focus on security held far more promise than the packaging business, so when sales reached $3 million in 1977, he spun Checkpoint off, distributed the company’s common stock to Logistics’ shareholders, and became the company’s first CEO. In the mid-1980s, two patents were awarded for resonant, deactivatable labels and a deactivator for use in an RF technology. Checkpoint acquired a sublicense to the intellectual property, and by 1986 Checkpoint was marketing an electronic article surveillance system that included a detection system, deactivatable labels, and the Counterpoint® deactivator based upon those designs. Checkpoint expanded its business both domestically and internationally through acquisitions, internal growth using wholly owned subsidiaries, and the utilization of independent distributors. In June 1993 as part of the settlement of a false advertising lawsuit filed by Sensormatic against Checkpoint, Sensormatic discontinued its agreement to sell Checkpoint products via Automated Security Holdings in Europe. The next month, to forestall a loss in European sales, Checkpoint acquired Dutch makers of security products and services, ID Systems International B.V. and ID Systems Europe B.V., which gave them direct access to six Western European countries, including The Netherlands, United Kingdom, Sweden, Germany, France, and Belgium. Kevin Dowd became CEO in 1995, and the company grew by acquisition, moving into Japan by acquiring a one-third stake in Tokai Denshi Co. Ltd. (Tokai), a manufacturer of disposable RF EAS labels. In late 1995, the company purchased from ADT (UK) Limited all of the capital stock of Actron Group Limited, a wholly owned subsidiary of ADT. Actron manufactured, sold, and distributed radio-frequency electronic security systems to the retail industry throughout Western Europe. They also had a patent on deactivatable RF EAS labels that became the subject of a well-publicized, patent-infringement lawsuit, which Checkpoint eventually lost. Checkpoint bought the rest of Tokai in 1998. In December 1999, Checkpoint acquired Meto AG, a German multinational corporation and a leading provider of value-added labeling solutions for article identification and security (EM and RF EAS labels). The acquisition doubled revenues and provided an increased breadth of product offerings and global reach. It seemed like a no-brainer to the people like me, who sold electronic article surveillance for a living circa 1981. The early EAS adopters quickly realized that affixing tags and labels using in-store labor hours was inefficient and expensive labor resource allocation. Almost from the outset, apparel retailers began tagging operations in store receiving dock areas and one step back into the logistics chain—their own distribution centers—the original “source.” The same situation existed with disposable EAS labels in the drugstore market and would also be used in the entertainment industry on video and audio tapes, CDs, and DVDs. Integrates with floor-ready programs, foreclosing the inevitable queues of merchandise waiting for an electronic article surveillance tag before being placed on the selling floor. Facilitates the protection of high-risk merchandise, preserving the heart of a merchandise assortment, lowering shortage, and resulting in incremental sales. Introduces open merchandising opportunities, resulting in incremental sales and more customer convenience during the shopping experience. Relocates tag procurement and tagging costs to a more efficient place in the supply chain. Eliminates or drastically curtails in-store tagging labor expense and misallocated productivity. Redirects sales associates away from non-customer-centric activity to activities that drive shopper experience and satisfaction. Boiled down, the laws of physics play a large role in steering the selection of the electronic article surveillance technology that best fits a retailer’s store configuration, merchandise mix, and business model. Without getting into detail, the EAS vendors competed with vastly different technologies. Sensormatic featured AM, with its very low frequency, offering the ability to transmit and receive at greater distances between pedestals and to overcome outside “signal-masking” influences, like ferrous metal and water. The properties in the three-dimensional tag circuit were unique enough to provide immunity to false alarm—a key feature. Deactivation and reactivation occurs through a change in the polarity of the magnetic field. Checkpoint featured a mid-range RF frequency that was more suited to its strategy to focus on paper labels with non-permanent circuits. RF also features a flat, but larger surface area, which is arguably easier to affix. These circuits are orientation-sensitive when passing through the pedestals, so detection rate comparisons generally favor AM. RF’s energy-burst, short-circuiting methodology for deactivation provides more trouble-free POS throughput, due in large part to the superior detection range and versatility of its deactivator products. Knogo developed RF and EM technologies that were preferred in video rental stores. EM was destined to be eliminated from source-tagging contention during the battle for the entertainment market segment. For example, in making the choice, Home Depot analyzed the technologies and realized that the positive aspects of the physics supporting Sensormatic’s AM meshed with the exigencies of its business model—wide exits in the garden and lumber departments, the use of forklifts and all-metal trolleys, and high-ferrous metal content in much of the high-risk merchandise. On the other hand, another rather early adopter, Target Stores, conducted the same type of evaluation and concluded that the physics of RF conformed more rationally to its business model, and chose to employ Checkpoint RF. And the “fun” began. How Much to Use and Where to Put It? The answer here seems simple, but it is anything but. Source tagging imposes its own inviolable rule—one electronic article surveillance technology in all stores, no exceptions. This mandate challenges the traditional, fact-based selection methods, such as external-theft risk assessments or individual store ROI analysis. Back then, EAS hadn’t reached the pinnacle of its popularity. Before source tagging, the initial decision to use EAS was usually forced by inventory shortage crisis situations, identified at inventory time, in one or more stores in the chain. During the decision-making process, management evaluated technological options, external-theft risk profiles, costs, and all the other issues associated with EAS. As more stores hit the crisis point, more equipment would be procured as finances permitted. Stores that maintained low shortage were rarely candidates for EAS because the cost couldn’t be justified. Source Tagging Changed this Logic. The investment in EAS and the source-tagging process will benefit the entire chain. The tagging process forces low-volume, low-shortage stores to participate even though the individual investment would not be justified. An imperfect analogy would be the installation of new POS terminals. Every store gets them because of the new hardware’s enterprise value. This conundrum wreaked havoc on efforts to set a single EAS technology standard. In the early 1990s, Checkpoint and Sensormatic established special departments and hired their first employees focused solely on describing and promoting the features, functions, and benefits of source tagging. Checkpoint’s was called Impulse@. In short order, they organized annual multi-day meetings called Impulse@ Source Tagging Conferences. In mid-1992, Sensormatic established its Universal Product Protection (UPP) department and hired its first dedicated employees for the same purpose. They, too, established a member-based trade group called the Source Tagging Council that first convened around 1994. Invitees to these conferences included retailers that were current or prospective implementers of source tagging, participating (or interested) manufacturers, packagers, and value-added resellers, who were starting a cottage industry by inventing security products for specific items or categories of merchandise that could be source tagged. Agendas usually included keynote speakers on strategic issues, workshops on “how to source tag,” presentations on successful rollouts or applications, classes on tag-placement techniques, and roundtable discussions on what needed to be accomplished in the future. Both groups also set up testing laboratories that assisted users in tag-placement selection and other issues that optimized the source-tagging experience. The electronic article surveillance business began to expand rapidly. Eventually, these groups were expanded globally, often led by VP-level executives. Most, if not all, of the conventional retail trade organizations established subcommittees and working groups to study source tagging and come up with guidelines and recommendations for their memberships within the context of their own unique requirements. The first industry-wide retail committee established to promote source tagging was called Industry Direction on EAS (IDEAS). It was established in 1990 and was comprised of retailers and consumer-products manufacturers. The group was the prototype for the Sensormatic-sponsored Source Tagging Council. Other trade groups followed suit. Virtually all of the major groups started their own research efforts. Major participants included the forerunners of the National Retail Federation (NRF) and Retail Industry Leaders Association (RILA), National Association of Chain Drug Stores (NACDS), the aforementioned NARM and CPMA, the Food Marketing Institute (FMI), the National Sporting Goods Association (NSGA), and the Voluntary Interindustry Commerce Solutions (VICS) Association. The Home Center Institute (HCI) published a thorough, well-reasoned Source Tagging Feasibility Study in 1993. A tremendous amount of organizational work and consensus emanated from the leadership in these groups. Their impact on the eventual success of source tagging cannot be overemphasized. The lack of a single technology standard caused turmoil and lawsuits, but the resulting competition engendered “fast and furious” product development projects for all of the competitors. The vast majority of the development was successful—yielding the features and functions required by the customers. “Sell what you have” is an axiom in sales and marketing. It relates to the dangers of “jacking up” the expectations of potential customers without having the products to back up claims. Nothing good follows from over-promising and under-delivering. Much of the frenzy in the EAS industry circa 1990 to1994 was concentrated behind the scenes in the offices of EAS product managers and in the engineering labs. As the EAS marketing people successfully convinced retailers to install EAS and CPGs to attempt source tagging, early adopters found out that none of the competing technologies were fully ready for the complexity of source tagging. “We had to innovate to make the tagging go faster,” said Seth Strauser, senior director of global product management, consumables, for Checkpoint Systems. As it often is with new product development activities, designing then-developing usable features in response to urgent customer needs takes talented engineers, vision, fortitude, and more than a little luck. Not every project goes according to plan, nor do they all get commercialized successfully. Sure, competitors each offered pedestals, labels, tags, deactivators, and the other necessary accessories that had been battle-tested over the years in conventional in-store tagging scenarios. But, how well would the products work in an environment in which each new prospective rollout exposed unsolved issues and challenges? “I remember thinking that whoever won the source-tagging battle would win the war,” said Mark Krom, former product management executive with Sensormatic. The requirements for source tagging a wide range of merchandise were much more complex than conventional electronic article surveillance—demanding performance that matched up to the standards imposed by the manufacturing and packaging methods and practices. Similar situations existed in regard to deactivation and scanning. How would the deactivation of EAS labels concealed inside packaging impact the POS process, for example? I interviewed several product management and engineering executives from both Checkpoint and Sensormatic. All of them related stories about product development “fire drills,” deadlines, long hours, lots of travel, and unbelievable pressure to perform. They were jovial about it with me. A twenty-year time passage has a way of mellowing one’s perspective. But, I could still detect the urgency in their voices, even after all this time. The tension and pressure must have been, at times, unbearable, which is hard to convey in words. Here are a few of the most important innovations—most of which were “back-filled” after near catastrophes with early-generation products. The stakes were enormous. Neither group of people could afford to fail. And neither did. Under Floor System. Around 1993, one of the “make-or-break” issues that stood in the way of convincing Home Depot to commit to a rollout was the effective coverage of the “lumber door” and the garden center. These exits were too wide for conventional pedestals, and the garden center exit was outdoors. The winner of this business would have to design an in-floor system that would work properly even though it was ensconced in concrete and surrounded by rebar (ferrous metal that would interfere with detection). Sensormatic turned to Kathie H. Bulson, an engineering executive who joined them directly from the original Identitech team acquired from Allied Signal. Bulson and her team had been working on a similar project in the department store market, in order to protect wide mall exits. The critical element was the design of a transceiver—a combined radio transmitter and receiver. After a few tries, the group managed to provide a system that provided detection about 1.5 feet off the ground. While not spectacular detection, it was sufficient to help Home Depot make a positive decision. During the eventual rollout, teams of installers cut the floor and rebar, installed the transceiver, and covered it with the same quick-drying concrete used on airport runways. “Proximity” Deactivation. Impact at the POS terminal is undoubtedly the biggest concern a retailer faces in a decision to implement electronic article surveillance. Apparel retailers had been able to live with a certain amount of extra work affixing and removing plastic tags, but most high-transaction volume retailers would not. Slowing down the POS was a deal breaker. Contact deactivation was not an option, so microwave and EM EAS were eliminated from consideration for source tagging. Deactivation at distance was critical. From the outset, the RF deactivation methodology was unquestionably superior to AM in this regard. Checkpoint worked on improvements to deactivator electronics to enable the device to transmit enough energy to deactivate the labels. They routinely touted deactivation field heights of 10 to 14 inches above the deactivator. Sensormatic’s first proximity deactivation product, called the Speed Station, deactivated labels as merchandise was placed in shopping bags at the end of a POS checkout lane. It proved bulky, heavy, and expensive. So a smaller deactivator, called a Rapid Pad, was introduced in 1992 in direct response to the rapidly evolving distance deactivation requirements required by retailers. The deactivation field height topped out at only about to 4 inches, marginally ample to support effective POS processing of tags placed near the barcode. However, each Rapid Pad cost more than most retailers would pay, so Sensormatic immediately began a value engineering exercise to remove cost and hopefully to improve performance. Comparatively speaking, Sensormatic’s deactivation methodology wasn’t easily integrated into the POS as was the competition’s, but the Rapid Pad enabled the Home Depot initiative, keeping Sensormatic in the game. Profound changes to the Rapid Pad’s performance took place around 1999, when the AM label was reengineered to reduce cost, improve deactivation performance and range, and provide easier integration within the POS environment. Integrated Scanning/Deactivating. The next logical step at POS was the integration of barcode scanning and deactivation. Both companies saw this as crucial to long-term success and invested lots of time, effort, and resources to collaborations with scanning and scale equipment manufacturers. Checkpoint had the jump on Sensormatic and earned patents on integrated and simultaneous scanning and deactivation. In the beginning, Sensormatic had to be satisfied with a two-step process whereby the AM label was deactivated first, and then the barcode was scanned. Label Performance Issues. Electronic article surveillance labels are not simple structures. Both types are layered with paper, adhesive, plastic, and metals. AM labels have six or seven different components, and RF labels even have a silicon chip. The move toward source tagging identified new issues that required the EAS label vendors to completely revisit label design, manufacture, and formatting, thus changing the way they were supplied to the third parties who would undertake the source tagging. Checkpoint’s original RF label offerings were comparatively large in surface area and not designed for high-speed auto-application. Re-engineering, in concert with improvements to system electronics, allowed them to eventually reduce the size of the primary source-tagging label from 1.5 inches square to about 1.3 inches square. This provided much greater breadth in tag placement options. More importantly, however, was the requirement to provide label formats (roll sizes, widths) that manufacturers and packagers could use in their high-speed operations. An unintended consequence of the high-speed labeling was the effect that electrostatic discharge had on the RF EAS circuits. Static killed labels. By 1998 Checkpoint designed a release liner with properties that mitigated the static. Finally, Checkpoint and the other RF EAS label manufacturers had to deal with the dreaded “Lazarus Effect” in which a previously deactivated label come back to life—wreaking havoc at store entrances as they set off unwanted, in-bound alarms. It took a long while, but continuous development efforts have succeeded in minimizing this issue. Sensormatic had similar issues. The original AM label was thick (2.5 mm) and capable only of deactivating at about 4 inches off the surface of the pad. Customers were complaining, and management knew that they needed to do something fast. Around 1995, Mark Krom headed a “SWAT team” comprised of materials and manufacturing engineering talent, who spent the next nine months racing to reduce the label’s size and improve deactivation height. The exercise led to changing most of the label’s seven components and resulted in a 50 percent decrease in both height and width. One of the changes resulted in an increase in deactivation height to between 6 and 7 inches. Most customers deemed this height to be acceptable in the normal course of point-of-sale activity. Label formatting issues plagued Sensormatic, too. At first, labels were produced on rectangular sheets that are totally unsuitable to high-speed, auto-application methods. Checkpoint’s experience proved that CPGs and packagers needed rolls, so Sensormatic developed those formats and even designed robotic equipment that placed the labels on the rolls. Another crisis averted. These product development exercises were instrumental in the signing of marquee customers, such as The Wiz, Circuit City, Rite Aid, Target, Home Depot, BJ’s Wholesale Club, and Walmart, along with their manufacturing and packaging partners. They demonstrated to the customer base that the electronic article surveillance vendors were committed to developing the product functionality that would ensure the long-range success of source tagging. It was fun to watch, but difficult to live through if you were on the inside. In the early days, none of the electronic article surveillance manufacturers wished to cede its technology to an open standard, even if theirs had been selected. Each wanted to control its own destiny, maximize the value of its advantages, and capture the entire market. But there were attempts by various retail trade groups to obtain a consensus on a single standard within specific merchandise categories. National Association of Recording Merchandisers. The first of these efforts was organized by the National Association of Recording Merchandisers (NARM). A couple of direct quotes will give a sense of the tension level of the times. “In 1987, the original NARM source-tagging committee was poised to recommend electromagnetic (EM) technology as the standard. Before this recommendation was adopted, the committee was made aware that the maximum width between pedestals using EM technology was 34 inches, and that most mall landlords would prohibit the installation of multiple pedestals at a store front. This near faux pas caused NARM to form a new loss prevention committee…whose charter was to evaluate the feasibility of selecting a single electronic article surveillance technology. It was at this point that I began my twelve-year odyssey and participation in working to achieve the source tagging of prerecorded entertainment products.” Excerpt from “How EAS Source Tagging Rewrote Shrinkage History in the Music and Video Sector” by O. Keith Wanke in the May-June 2002 edition of LossPrevention magazine. “Their product wasn’t picked, so now they’re doing a lot to try to sabotage our effort.” Quote by Michael E. Pardue, former chief operating officer at Sensormatic in a New York Times article titled “Putting the Tag on Shoplifters” published in May 1993. In the late 1980s, music retailers were major users of anti-theft devices. Their merchandise was desirable, easily concealed and the customer base included shoplifters. Much of pre-EAS security involved cardboard “longbox” packaging. Facing pressure from ecologists, the industry agreed to eliminate them by April 1993. A move toward source tagging was a logical solution. In preparation for the longbox conversion, NARM tested EAS systems with the intention of establishing a standard. Of the four participants in the testing—Checkpoint, Sensormatic, 3M, and Knogo—only Checkpoint was wedded to a single technology—RF. The others, especially Sensormatic, could more easily adjust if NARM ruled out AM or EM in favor of RF. Thus the stakes for Checkpoint were extremely high, even though it was likely that the winner would license its technology to the other companies. As 1992 ended, NARM’s decision was imminent, but its announcement delayed. Checkpoint released a full-page ad in the January 9, 1993, issue of Billboard magazine claiming that certain magnetic deactivation systems could distort the audio quality of audio and videotapes. While Sensormatic was not named in the ad, the AM technology it criticized was proprietary to Sensormatic, and based on NARM’s published selection criteria was the only logical alternative to RF. Sensormatic immediately filed suit against Checkpoint for false and misleading advertising, seeking $35 million in damages. In February 1993, rumors that the NARM subcommittee had recommended the Sensormatic system sent Checkpoint stock tumbling, losing a third of its value in two days. Then, in March, NARM announced its decision to go with Sensormatic’s AM, only to discover through further testing that the system’s deactivation process did, indeed, cause deterioration in the sound quality of some lower quality “Type 1” cassettes. The news sent Sensormatic’s stock down, while Checkpoint’s rebounded. While Sensormatic rushed out new deactivation devices that it maintained corrected the issue, Checkpoint again trumpeted the studies that led to the original suit, as it tried to pressure NARM to reopen its selection process. But the decision stood. NARM’s selection of AM established the technology as the standard for the entire record industry and by implication for the mass merchants, discounters, drugstores, and other retailers what sold cassette tapes, compact disks, and related products. The stakes were high indeed. On June 26, 1993, Sensormatic agreed to drop its suit against Checkpoint, when the companies agreed not to criticize one another in advertisements. As part of the settlement, however, Sensormatic discontinued its agreement to sell Checkpoint products in Europe. The next month, to forestall a loss in European sales, Checkpoint acquired Dutch makers of security products and services, ID Systems International B.V. and ID Systems Europe B.V. The NARM controversy continued to fester in the marketplace. Checkpoint and Target Stores, an RF electronic article surveillance user and high-volume seller of music products, filed an anti-trust lawsuit against NARM. In 1996 when PolyGram Group Distribution began to source tag according to NARM recommendation, Checkpoint and Target sued them as well. In August 1996, a court dismissed several of those lawsuits in exchange for PolyGram’s voluntary suspension of its source tagging operation, with the duration of the suspension to be determined solely by PolyGram. PolyGram’s President James Caparro said at the time, “We are confident our method of analyzing and choosing the available technology was well-executed and clearly within the law. While we are still convinced about the merits of source tagging and committed to electronic article surveillance implementation, we are adopting this temporary suspension in light of the confusion and friction which followed our announcement.” Caparro noted that PolyGram retained the ability to adopt any program it deemed in the best interest of the company. The settlement of the lawsuit did not change NARM’s recommendation of the AM technology. The music distribution companies still needed to embrace source tagging immediately and work with other NARM members who were not AM users to facilitate source tagging with the technology of their choice. Consumer Products Manufacturers Association. Toward the end of the 1990s, there was another organized attempt to establish a global standard under the auspices of the Consumer Products Manufacturers Association (CPMA), founded in 1999 by Eastman Kodak, Johnson and Johnson, The Gillette Company, and Procter & Gamble. The stated purpose of the association was to provide focus to the evolving needs of products and product packaging in three areas—electronic article surveillance, product authentication, and identification. The membership believed that global standards were critical to establishing an efficient response to incorporating new technology in the market place. Hindsight proves that a standard would have been beneficial. Unfortunately, by this time the competing EAS technologies had successfully grown well beyond critical mass, and the electronic article surveillance vendors were still unwilling to relinquish the control they had amassed. In the late 1990s, the CPMA proposed that the consumer packaged goods (CPG) industry consider both a “tag-centric” and a “tower-centric” approach to developing a global consensus for product security in retail. The adoption of a single standard would simplify the source-tagging and inventory-management exercise for manufacturers, reduce costs, and result in more manufacturers’ cooperation with source-tagging initiatives. In August 1999, the CPMA changed tactics and proposed the industry take a “tower-centric” approach to the problem. A tower is the CPMA’s jargon for an EAS pedestal. Tower-centrism means one electronic article surveillance system detects all tags, irrespective of technological base. 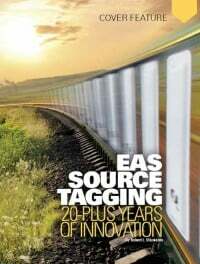 While, the CPMA acknowledged that each of the EAS tag technologies can demonstrate superiority in combination with certain types of packaging, they suggest, by an extension of logic, that a single electronic article surveillance system containing multiple technologies would allow merchandise manufacturers and packagers the opportunity to insert the best, most cost-efficient EAS tag into the item. This idea was completely unfeasible—worse than the first—and also died a quick death. “Dual technologies made progress difficult. It gave the consumer-product manufacturers an excuse not to engage at the beginning,” said Kevin Dowd, former president and CEO of Checkpoint. Many people in the electronic article surveillance industry agreed with Dowd, and thought that the CPMA was organized as a tactic to delay participation in source tagging as long as possible. Once the industry figured out how to identify and measure the benefits for all constituencies, and realized that a single standard was already too late, everyone just got to work. In the beginning, there were willing, even anxious early adopters among electronic article surveillance vendors and retailers. Intrepid, enlightened merchandise manufacturers took risks in exchange for more visibility, including Black & Decker, Texas Instruments, Victorinox Swiss Army, PolyGram Group, Rayovac, Phizer, and Estwing Manufacturing to name a few. Here is a sample of the early action. Checkpoint. In the late Eighties, Checkpoint announced formal efforts to develop and promote source tagging. It took several years, but under Ted Wolf’s vision, leadership, and focus, the marketing team stimulated two small-scale tests. One situation evaluated a new product idea, while the other blossomed into a landmark chain-wide rollout for the Checkpoint source-tagging program. Tools Plus, a Waterbury, Connecticut, hardware store, tested Checkpoint’s “activatable” label in 1991 in collaboration with Black & Decker. At that stage Checkpoint had yet to perfect the RF label roll formatting that would withstand the rigors of a high-speed source application process. “Tagging killed 70 percent of the labels,” recalls Checkpoint’s Seth Strauser. “So we disabled the label during the application process and provided an activator to turn it back on once it arrived in the store.” This concept proved workable for some retailers, but large-scale demand for this type of product never materialized in the marketplace. The landmark deal incubated during the same year with a test in a 60-plus store, Detroit-area hardware chain called ACO Home & Garden Hardware. Bill Aiken, the CEO, immediately grasped Checkpoint’s vision and was convinced that source tagging would be a “game changer” for his organization. He solicited Victorinox Swiss Army to collaborate on a test that featured tagging in ACO’s distribution center. On the strength of the results, ACO gladly took a very big risk and agreed to an immediate electronic article surveillance rollout in all stores, with the intention to source tag further back in the manufacturing process. After years of work honing the sales pitch and developing the program, Checkpoint had found the formula. More success followed quickly. Target Stores, under the capable guidance of King Rogers, then vice president of asset protection, conducted a landmark test in 1992 that included a small, randomized control trial with a formal analysis of the economic benefits of source tagging. Target and Texas Instruments (TI) wanted to find the best way to secure hand-held calculators without resorting to locked fixtures that would inhibit sales. They collaborated on a three-store test in which TI inserted RF electronic article surveillance labels into the packaging of two types of calculators to be displayed on open peg hooks in a Detroit store. An Indianapolis store was the control, where calculators were hung on peg hooks without EAS tags. A Minneapolis-area store was set up with untagged calculators under glass and lock and key. Academics might opine that the Target test sample was statistically insignificant, but the methodology has become extremely important to the retail loss prevention industry in the big picture. Just look at the groundbreaking work that the Loss Prevention Research Council and others have done over the past few years. Checkpoint considers The Wiz to be its first full-fledged source-tagging rollout. This New York-based electronics chain reached its peak of 94 stores and about $1.3 billion in annual sales. The deal was consummated in 1995. There were two key drivers in this effort. The first was efforts by Wiz management to push CD and DVD replicators to affix labels. More importantly to the Wiz, however, was a requirement that Checkpoint figure out a way to integrate scanning and deactivation, which they did. Over the next couple of years, Checkpoint announced other chain-wide rollout deals with Eckerd Drug Stores, Rite Aid, Walgreens, Thrift Drug, and Big V Drugstores, covering high-risk products manufactured by the “who’s who” of consumer-products manufacturing. Source tagging with RF electronic article surveillance had more than reached critical mass. Rosenblatt also used POS exception reporting to help identify the high-loss items to be included in the program. The other innovation was called “fractional tagging,” whereby only every second or third item was source tagged. Labels at this point were mainly concealed on the inside of packaging, so skipping some labels to save cost was worth the risk. Thieves couldn’t tell which items were tagged. Sensormatic. The first rollouts by Sensormatic also emanated from successful tests. In 1992, Edward A. Wolfe, Home Depot’s vice president of loss prevention, organized a three-store test of AM electronic article surveillance in tool corrals, where the shortage was “double digit.” After six months, the shortage in the tagged categories dropped by about 80 percent, but losses “migrated” outside of the corrals. Wolfe wanted to expand to exit coverage, but he had some issues to contend with. A couple of them were technology related, but the bigger issue was financial. Wolfe’s boss wouldn’t allocate a single penny for tagging labor. The potential savings were compelling enough that the boss suggested that Wolfe lobby buyers of high-loss merchandise for support for source tagging. Wolfe knew that the buyers had never collected a bonus based upon their shortage performance. So, he asked for a meeting to offer them a proposition—the promise of a bonus in exchange for support for the program and direct assistance engaging merchandise manufacturers in the tagging process. “Based on the test results, I was pretty certain that the shortage would drop low enough to earn the bonus,” Wolfe recalled. “But they agreed.” And his boss did, too. So Wolfe formulated a plan to source-tag 1,500 SKUs. Sensormatic solved the technological issues, Home Depot signed a contract, and the buyers earned their first bonuses. Around 1994, convincing manufacturers to source tag presented other problems for Home Depot. The inventory shortage in batteries was astronomical, to the point where the category gross margin had to have been breakeven at best. The major brands didn’t see the wisdom in tagging at first. But after an enterprising second-tier brand volunteered, and shelf space allocations were altered in their favor—drastically in a couple of cases—the major brands got the picture. “The battery story certainly underscored the tension as well as the opportunity,” mused Wolfe. Kmart signed its first agreement for AM electronic article surveillance with Sensormatic in 1993. In 1995 the agreement was expanded to include more stores, and the inclusion of Rapid Pad II proximity deactivation to facilitate a future move toward source tagging. In late 1996 Kmart and Sensormatic agreed to another expansion covering over 1,000 remaining locations. CVS, a Sensormatic user since 1987, announced a chain-wide installation of AM and an upgrade to proximity deactivation in early 1996. At that time merchandise manufacturers were source tagging about 500 SKUs for CVS. Plans called for an aggressive expansion of the program. Years later, CVS converted from AM to Checkpoint-supplied RF technology. As source tagging grew in size and scope, entrepreneurial valued-added resellers fashioned profitable opportunities in support roles. Jobbers, distributors, replicators, and packaging companies affixed labels. Purveyors of retail trim products, such Paxar Corp., Avery Dennison, B&G Plastics, and A&H Company invented disposable products that helped secure source-tagged merchandise. Other entrepreneurial people introduced solutions to specific high-loss situations as they arose. Knogo. In mid-June 1993, Knogo planned to announce that Sonopress, the manufacturing division of the Bertelsmann Music Group of Germany, had selected two Knogo theft-detection products that would be embedded directly into recorded materials like cassette tapes and compact disks, according to people familiar with Knogo’s plans. One product was the previously mentioned Superstrip, a thin strip that can either be embedded into a product or applied to packaging. The other was a round version specially designed by Knogo for Bertelsmann to fit the center of a compact disk. The controversy over NARM’s selection of a preferred EAS technology completely overshadowed Knogo’s efforts. Knogo’s non-North American operations were acquired by Sensormatic the next year. The remaining entity, Knogo North America, kept promoting the Superstrip and battled to participate in the source-tagging market for a few more years. Consumer-Products Manufacturers. In the beginning the consumer-products manufacturers, in general, saw little vested interest in accommodating source tagging. All the financial metrics were negative for them. The major issues facing them revolved around the money that would have to be invested to design, build, and manage the new tagging processes. Costs—The costs to manufacturers went well beyond just the cost of acquiring the security labels. Affixation costs included investment in design, manufacturing process changes, automated equipment, and labor. Finished goods inventory management and carrying costs included distributing the appropriately tagged merchandise to the retail stores. Given there were four possible stocking permutations for each high-risk SKU—un-tagged, AM, RF, or EM—inventory management was challenging. Could some or all of these costs be successfully passed onto the wholesale cost of the merchandise? Benefits—The benefits accruing to the manufacturers were hard to measure. In theory less theft means a better “sell through.” A reorder triggered by a sale is “more beneficial” than one triggered by a theft. Providing products with a value add strengthens the partnership between retailer and supplier. A major inducement was the promise of additional shelf space with its immediate impact on sales. Open merchandising opportunities would be either lost or gained. Simply stated, source-tagged items would be open merchandised, while non-tagged products were locked up or threatened with removal. “We organized many meetings, including the RF source-tagging conferences with retailers, manufacturers, and packagers. It took some ‘arm twisting’ by the retailers for manufacturers to appreciate their opportunity because they made money on reorders generated from theft,” said Dave Shoemaker, former group vice president responsible for source tagging with Checkpoint. Rebalancing the ROI. For retailers at the time, electronic article surveillance was far from a unanimous choice as an anti-shoplifting countermeasure. Source tagging demanded a chain-wide rollout, while loss prevention executives were investing their capital in high-risk locations. Microprocessor-controlled CCTV systems were the rage, and a number of retail vertical markets, such as supermarkets, preferred video solutions over electronic article surveillance . Source tagging would have failed without net positive economic benefits for all participants. Retailers were losing money without it. Manufacturers were faced with high “buy-in” costs to participate. The economic seesaw needed to be rebalanced. The scenario can be explained this way—Retailers tried to execute their sales plans. They went into the market and bought merchandise, applied an initial mark up, put the goods out for sale, sold some at regular price, marked most of it down, had some stolen, and liquidated what was left. “The key was in proving the business models and rebalancing the profit sharing for all the partners,” said Joe Ryan, Jr., former vice president of global source tagging for Sensormatic. Two things ruined the gross margin for the retailer. First was the replenishment costs added to the inventory by the reorders made because items had been stolen rather than sold. Second was the gross margin hit from the shrinkage reconciled and booked at fiscal year-end. The retailer paid the price, and the consumer-products manufacturers weren’t economically affected. As retail merchandise statistics got more detailed and reported much closer to real time, the CFO got a better handle on the depth, breadth, and scope of these drains on item-level profitability. The merchants saw this in the form of low gross margin and promptly started negotiating “allowances” to offset shrinkage losses. Why would the manufacturers agree to forsake the replenishment gravy train and take on a process that had the potential to add significant costs and disruption to production and control of finished goods inventory? As time passed and the data included all the relevant statistics to the SKU level, gross margins were so bad for certain high-risk items that something had to be done. Allowances were rarely sufficient. Frustrated retailers began to tell their brand partners, “I’m getting killed here. We can’t afford to stock your product anymore. You either source tag, or I’m going to allocate your shelf space to someone who will.” This scenario happened several times in a variety of markets and is a major factor in the ultimate success of source tagging. The early source-tagging adopters benefitted almost immediately. Far less inventory was stolen and more of the residual inventory was sold without “help” from reorders. Gross-margin statistics improved dramatically. Merchandise was preserved from theft and ultimately sold, relieving the inventory and generating a reorder. The profitable partnership between retailer and supplier was rebalancing. It took the better part of two decades to get this all figured out. The real beneficiary of this journey is the Auto-ID industry and the retailers pursuing RFID as an inventory-control strategy. They recognized from the outset that RFID required a proven, measurable return on investment for all constituents. “EAS will be here longer than people anticipate. Source tagging’s history is the roadmap for RFID,” said Powers. Over 4 billion RF electronic article surveillance labels sold in support of source tagging. Second largest supplier of RF electronic article surveillance labels in the world. Continuous support of global source tagging initiatives since 1995. 1994—First orders for source tagging in over-the-counter drug remedies for Eckerd Drug Stores and Rite Aid. 1995—Source-Tagging Evaluation Laboratory opens to all vendors. 1997—Introduces EAS integrated jewelry card. 2001—Perfects PSG label format technology that matches speeds of production and packaging lines. 2003—Launches “sewn in” security for apparel. 2005—FDA-compliant products for tagging food and microwave operation. 2006—Introduces “postage stamp” size label. 2008—Introduces reverse-logistics program called Hard Tag @Source to recycle reusable EAS tags for apparel. 2012—Emphasizes “visible tagging” to improve deterrent quality with a lock symbol indicating security. 2014—By 2014, over 25 billion products had been source tagged from all sources. 1994—70 million AM labels sold for source tagging. 1994—Some of the earliest name-brand manufacturers to begin tagging included Stanley Tools, BernzOmatic, and Estwing for DIY; Schering Plough (Maybelline), Pfizer (Advil), Rayovac, Ever Ready, Magnivision, Kodak, and McNeil (Tylenol). 1997—Over 1,000 consumer-products manufacturers and packagers provide source-tagged merchandise. 1999—Label unit volume reaches 1 billion per year due to Walmart’s source-tagging ramp up. 2000—The focus of merchandise manufacturing shifts to Asia. Source-tagging customers procure and tag in Asia, but ship tagged merchandise to the developed world. 2005—The explosion in the sales of DVDs and multimedia merchandise helps drive label unit volume to 4.5 billion per year. 2014—By 2014, over 50 billion products had been source tagged with disposable labels and “sewn in” disposable or reusable visible source tags(VST) on apparel. Over 5,300 manufacturers, packagers, and value-added resellers (VARS) were actively tagging. Future in apparel source tagging fueled by Auto-ID/RFID applications. 1998—Licensed by Sensormatic to build and sell AM labels for high-speed, automatic applications at a rate of over 1 billion per year. 2014—Cumulative label unit volume surpasses 3 billion. This article was originally published in 2014 and was updated September 11, 2018.